A long-time California friend I took care of has passed away. How do I find out if I am a beneficiary in his will? How do I find out if I am a beneficiary in his will? Are you wondering if you are a beneficiary in his will? Well, people listed as beneficiaries who are not members of the family of the deceased will usually be informed by the California probate court. However, this only applies if the will has been filed with the court upon death. This is the case if the assets have to go through probate. Wills are not public records, and it is usually impossible to consult a will anonymously. If you strongly believe that you are named as a beneficiary in his will but you have not been notified that a will has been submitted to probate, then you have the right to seek a probate court intervention and ask to be part of the probate procedure. It is recommended that you consult with a competent California probate lawyer to initiate this process. 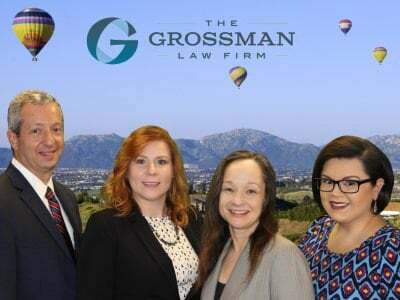 In conclusion, call San Diego estate planning and probate attorney Scott Grossman for a free discussion of your case. 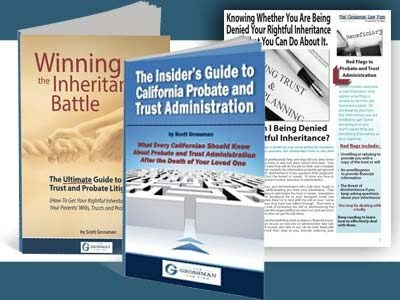 You may also order his free book The Insider’s Guide to California Probate and Trust Administration to get more information about the probate process. The process of proving in court that the will of a person who has died is valid. It involves proving before a competent judicial authority that a document offered for official recognition. It also involves proving the last will and testament of a deceased person is genuine. Not all wills must go through this in California. 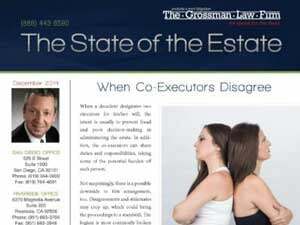 See our infographic to help you determine if your loved one’s estate must go through probate.